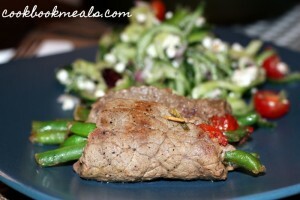 I made this delectable steak dish to go along with my Greek Cucumber Noodle Salad. 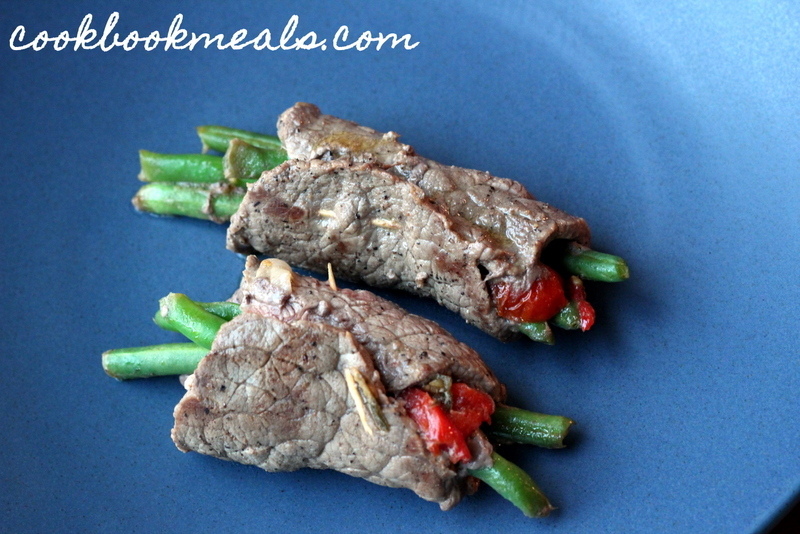 It had a lot of the same flavors and ingredients as the steak rolls, so the two paired well together. 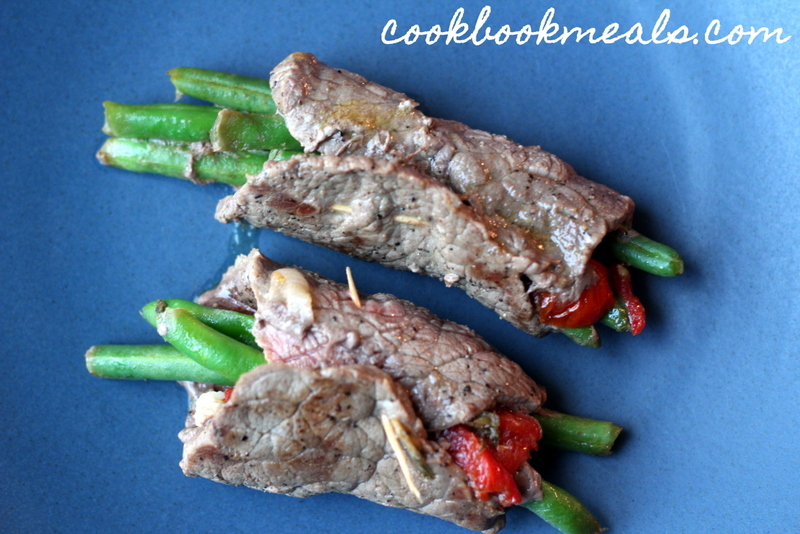 This dish is a simple premise: thinly slice some steak, sauté some vegetables, spoon the veggies onto the slices of steak, roll them up, and sear. You can really use flavors from any place in the world. I (obviously) went with Greece. 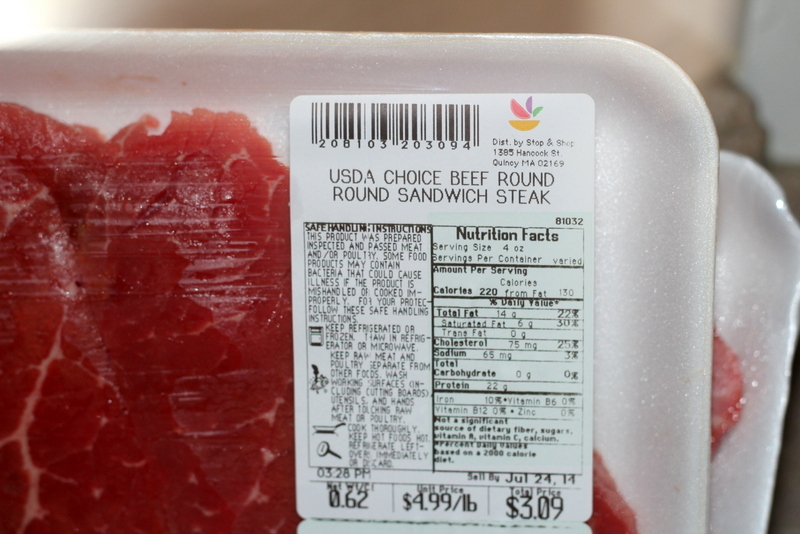 I did take some help from the store and bought already sliced steak. 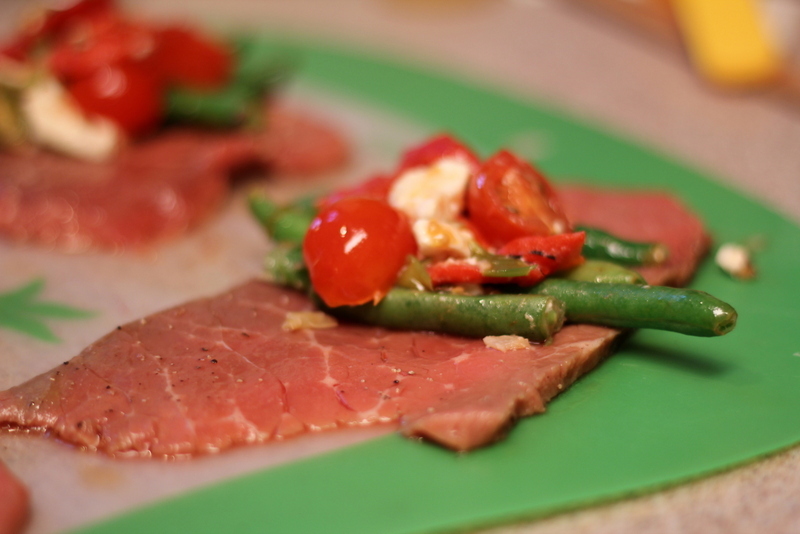 (It was called Sliced Sandwich Steak.) 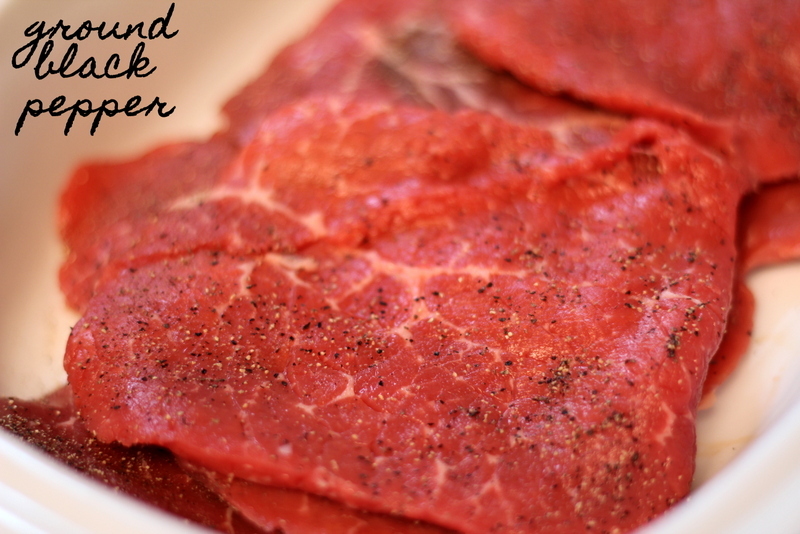 It was a very affordable cut of meat and saved me some time (and patience!). 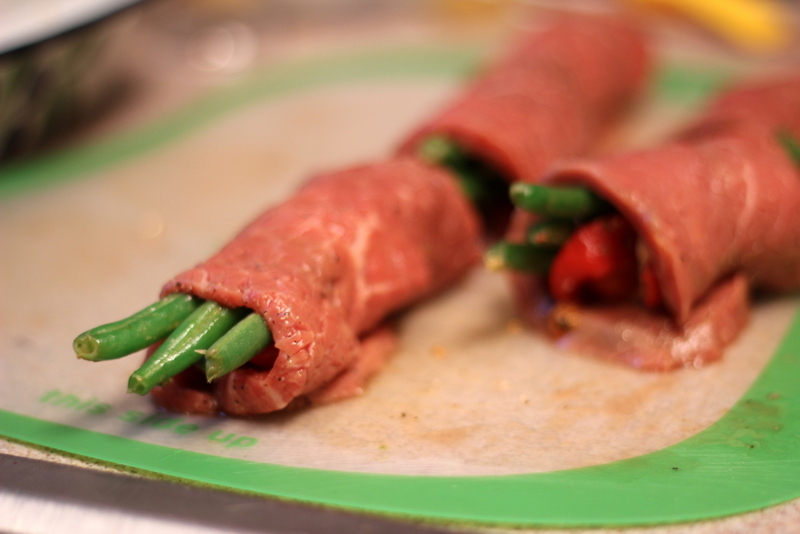 I used some of my favorites vegetables as the filling for the rolls: a tantalizing mixture of green beans, roasted peppers, and cherry tomatoes. 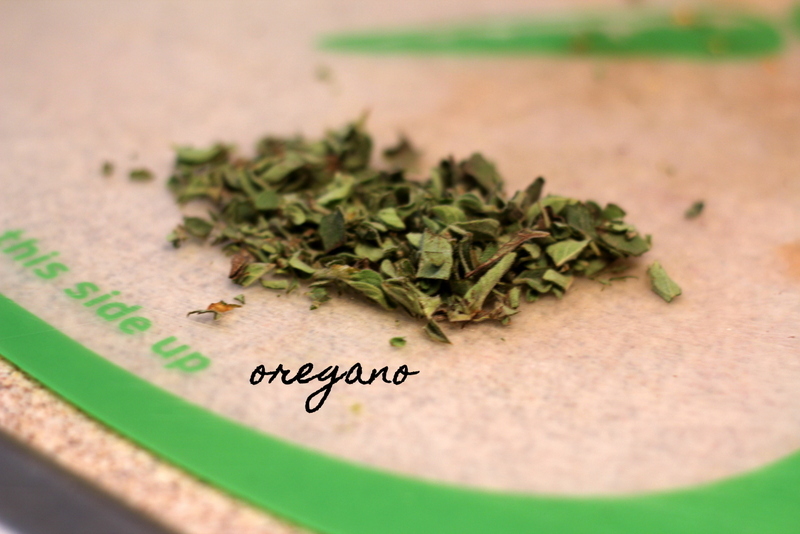 I threw in some fresh oregano and salty feta as well. I was overzealous and made for veggies than I needed. I was totally okay with that though. They were a great side late in the week. You do need to plan ahead for this meal. I marinated the steak in my fridge for 2 hours before I started cooking. You could certainly marinate it before you go to work in the morning though. 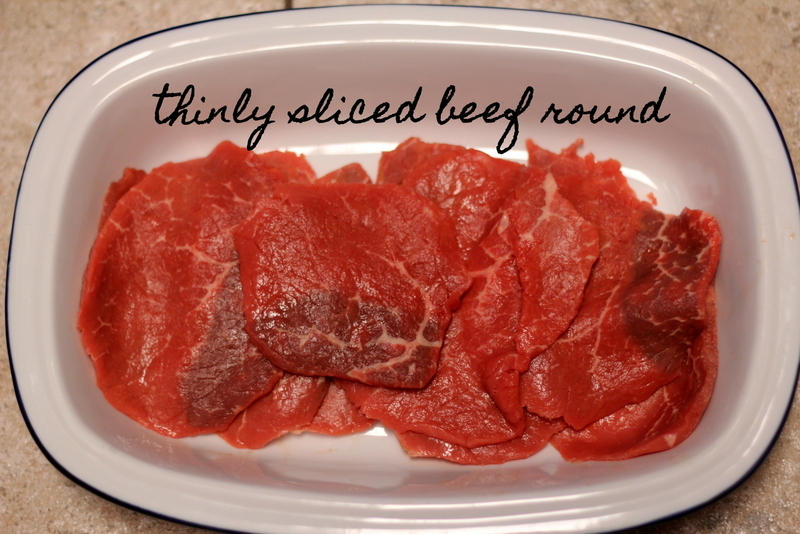 Place some sliced steak into a large dish. 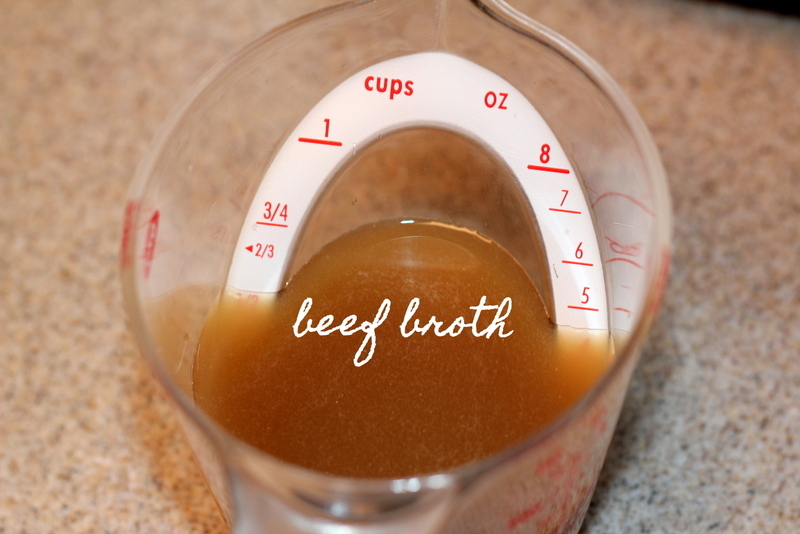 Measure out ½ cup of beef broth. 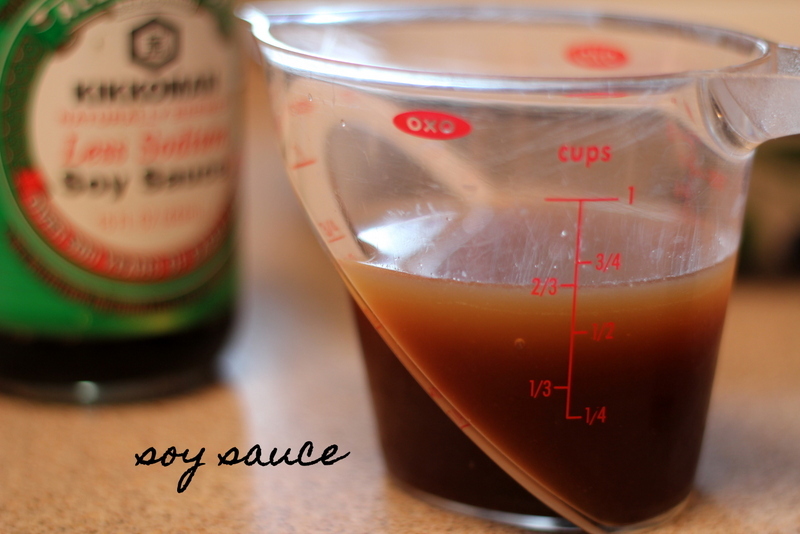 Add 1 tablespoon soy sauce. 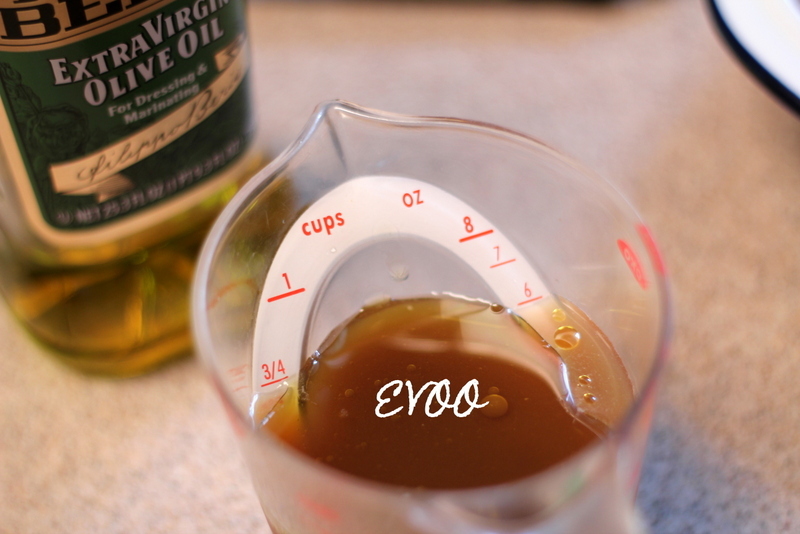 Pour in 2 teaspoons EVOO. 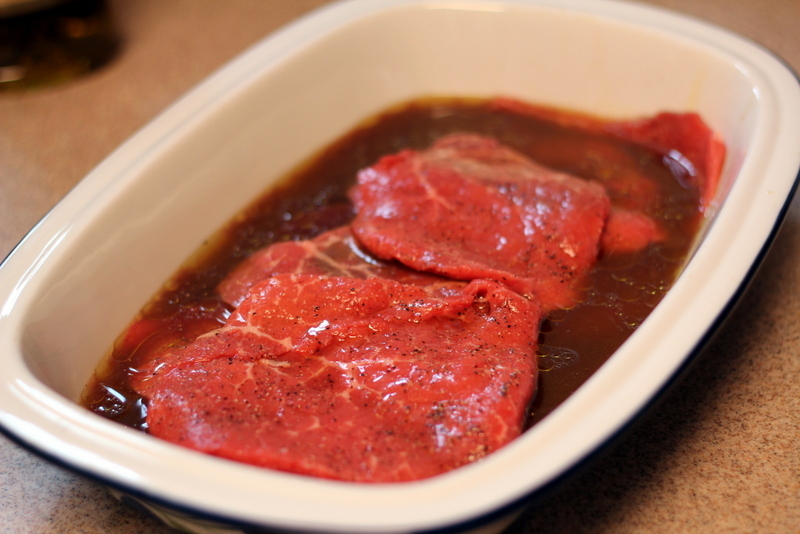 Pour the marinade over the steaks. 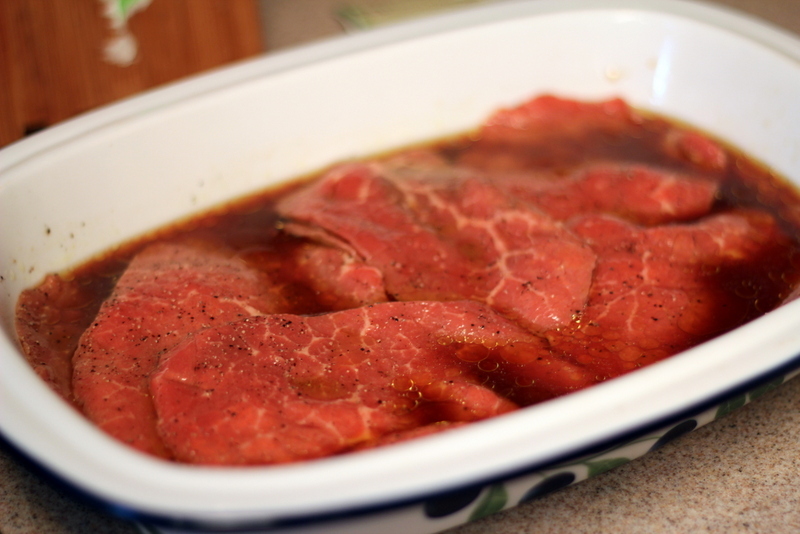 Flip the steaks around to make sure the marinade coats all sides. 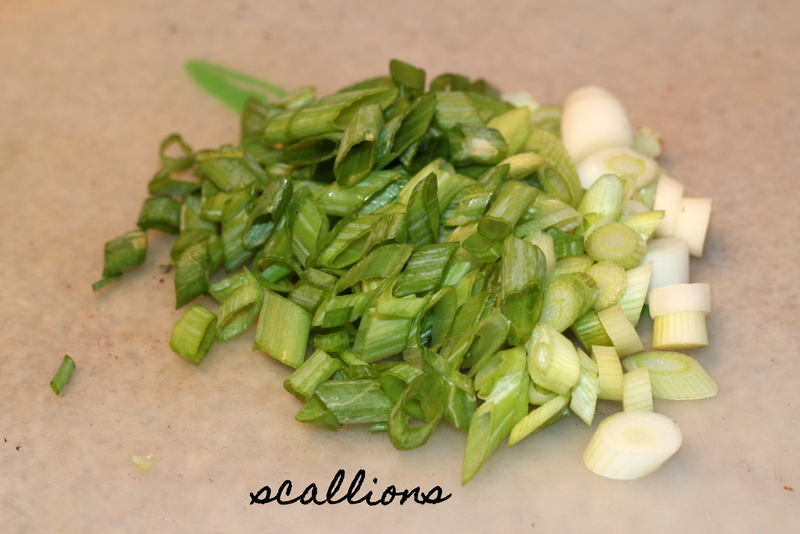 Thinly slice 3 scallions on the bias. 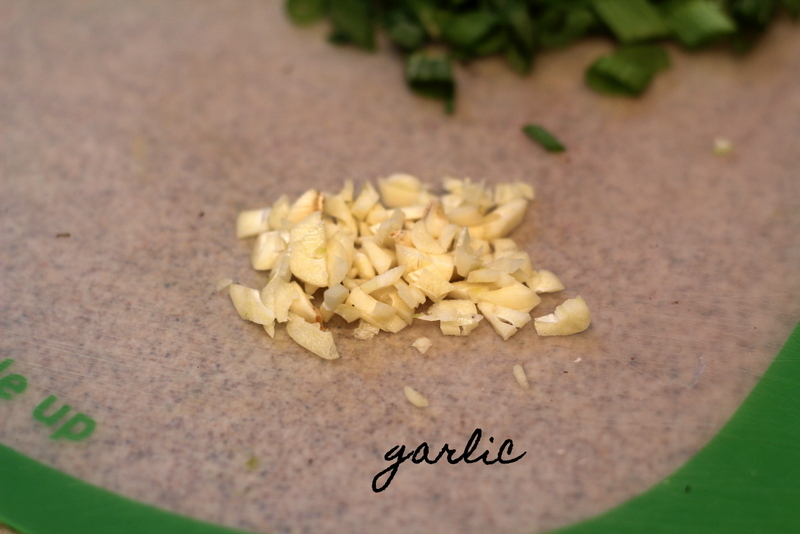 Mince a couple of cloves of garlic. 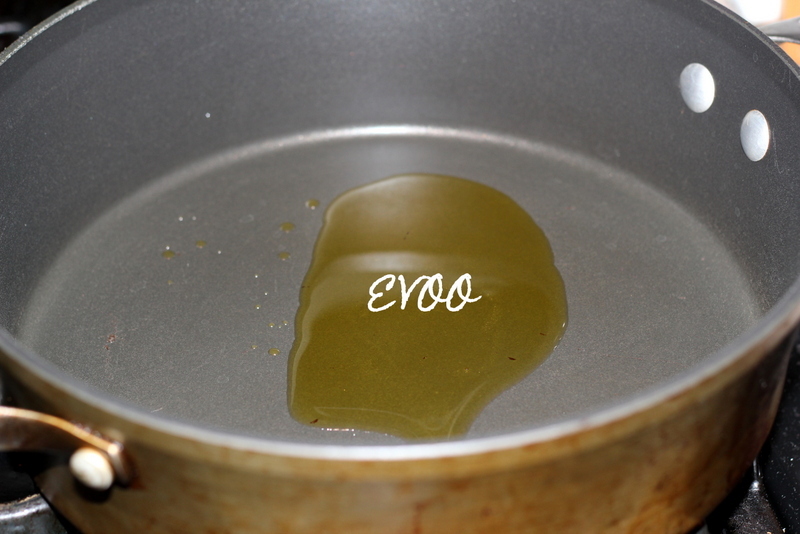 Heat a little EVOO in a skillet over medium-high heat. Add the scallions and garlic. 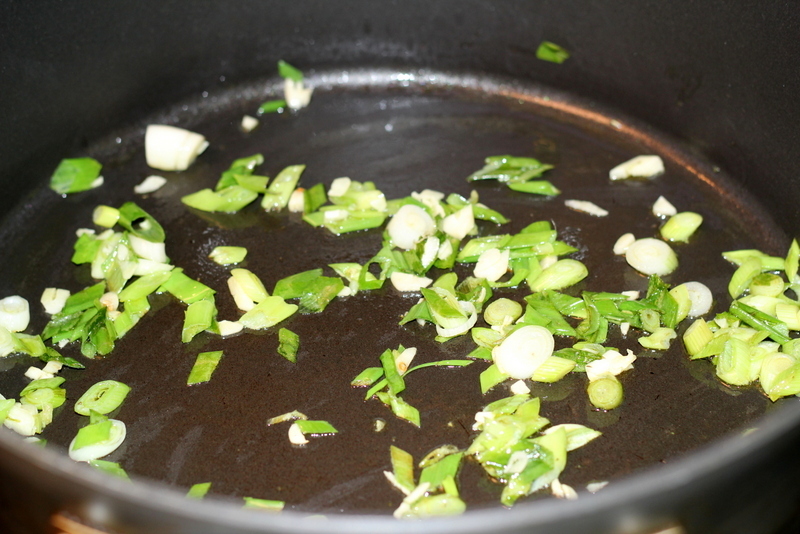 Sauté the aromatics until fragrant, about 30 seconds. 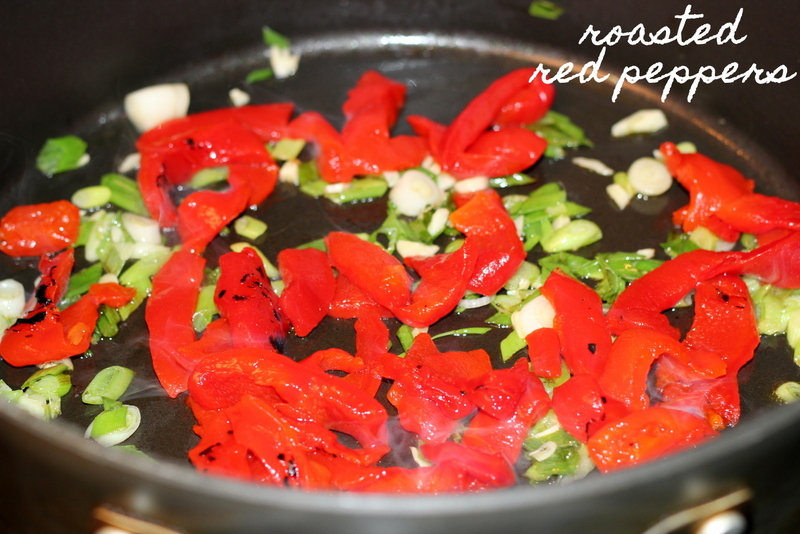 Add some sliced roasted red peppers. 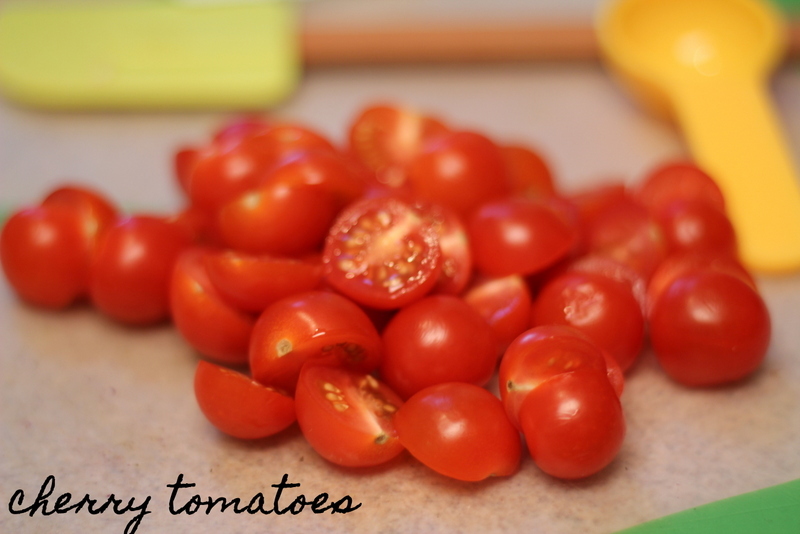 Add the tomatoes to the skillet. 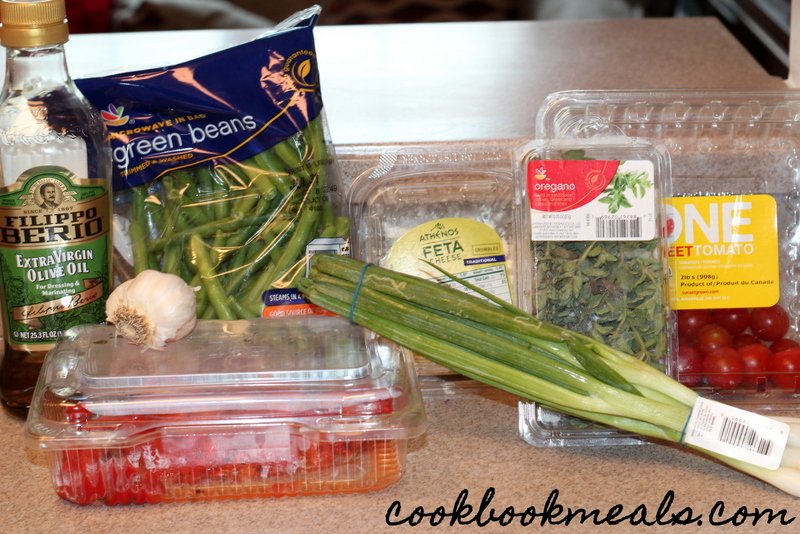 Stir and cook until the beans are tender crisp, about 3 minutes. Pour in some crumbled feta. 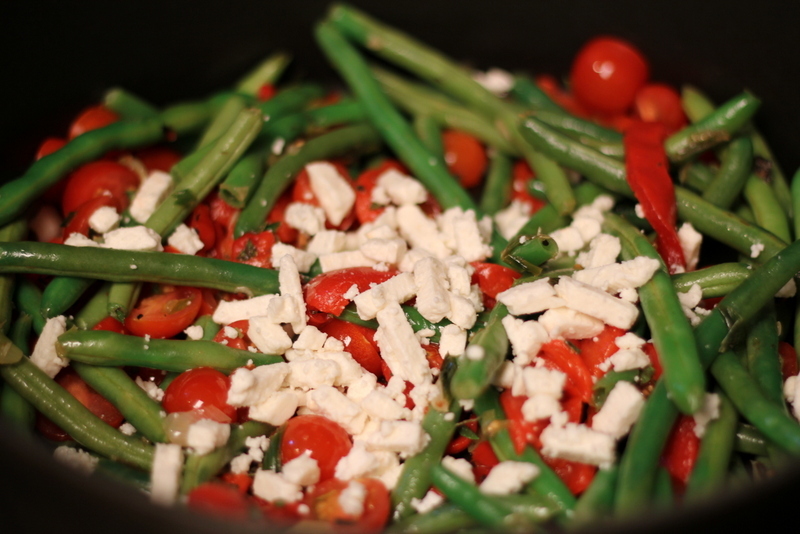 Give a good stir to incorporate the feta. 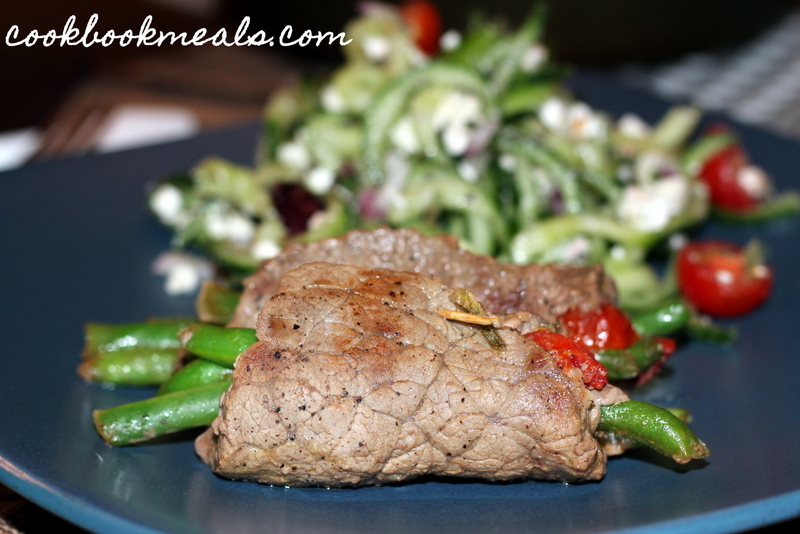 Take the steak out of the fridge. 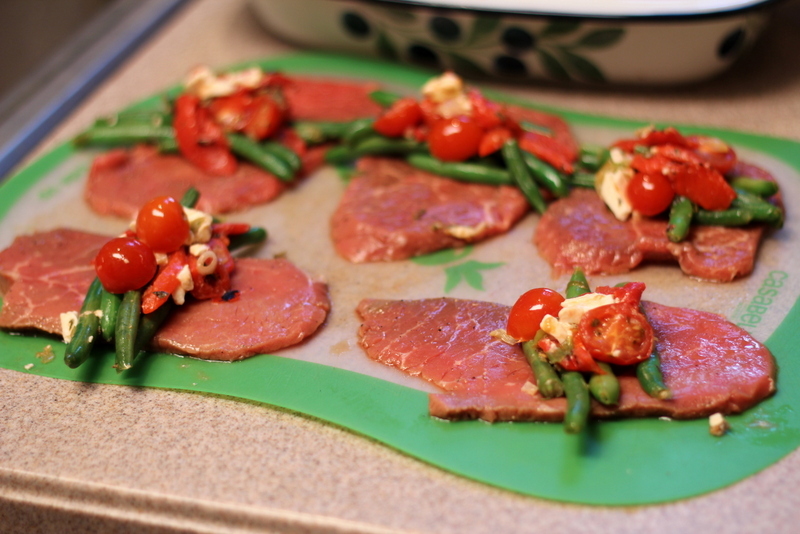 Place the steak slices on a cutting board. 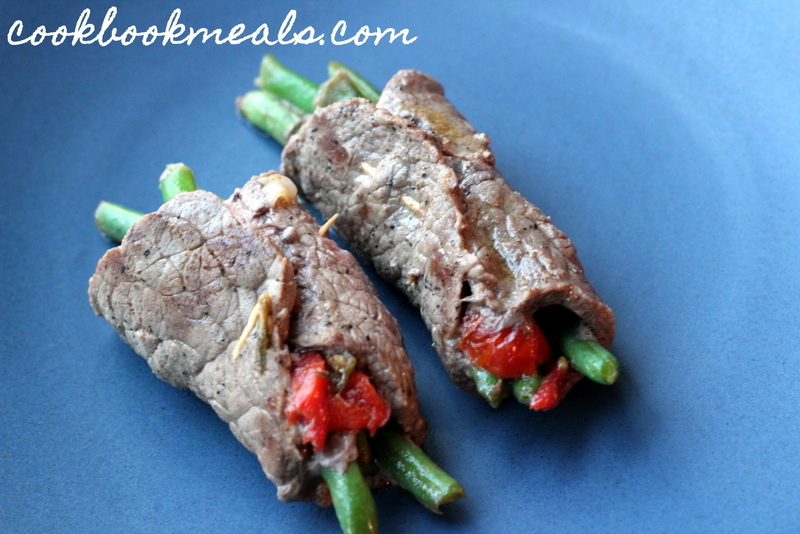 Secure each steak roll with a toothpick (or 2). Heat another skillet over medium-high heat. 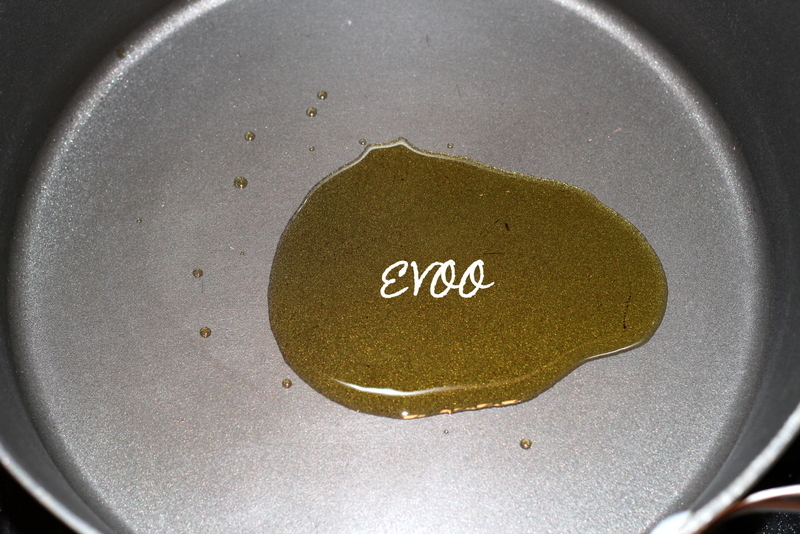 Add a little more EVOO. Place the steaks, seam-side down, in the skillet. Make sure you remember to remove the toothpicks before serving! Enjoy! 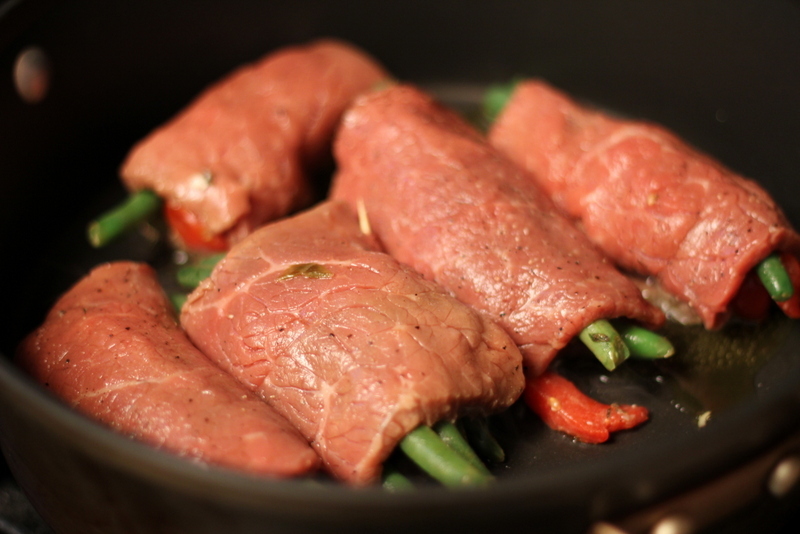 Season the beef with pepper, to taste. 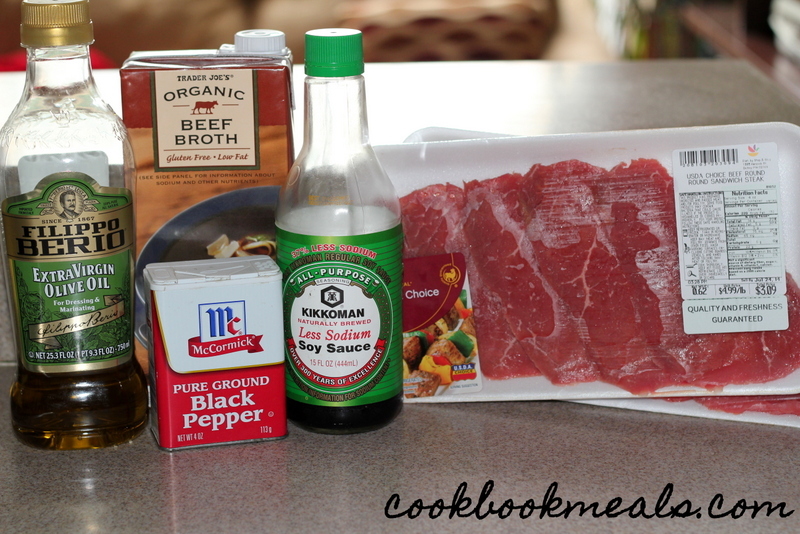 Combine the beef broth, soy sauce, and 2 teaspoons of the olive oil. Heat 1 tablespoon of olive oil in a skillet over medium-high heat. 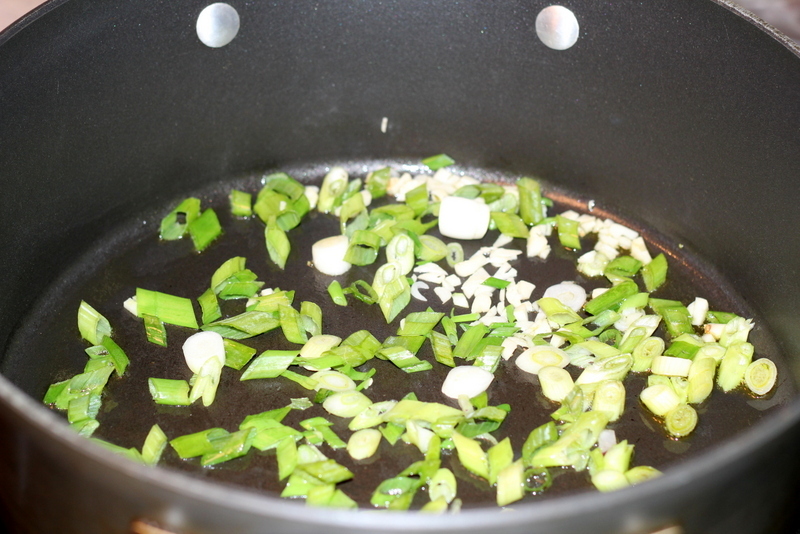 Add the garlic and scallions. 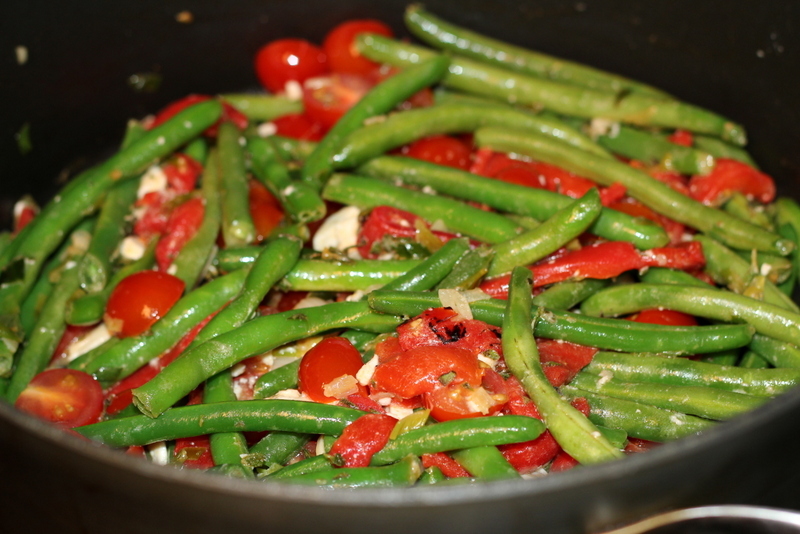 Add the roasted peppers, green beans, and tomatoes. 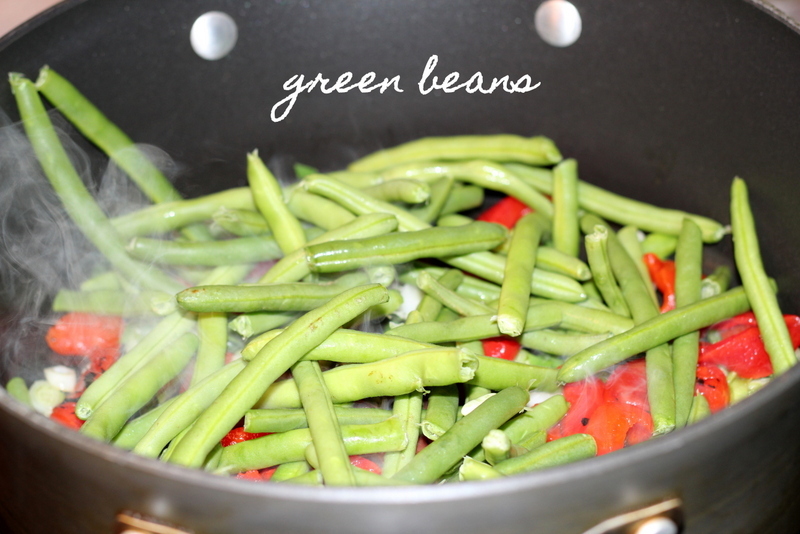 Stir and cook until the green beans are tender crisp, about 3 minutes. 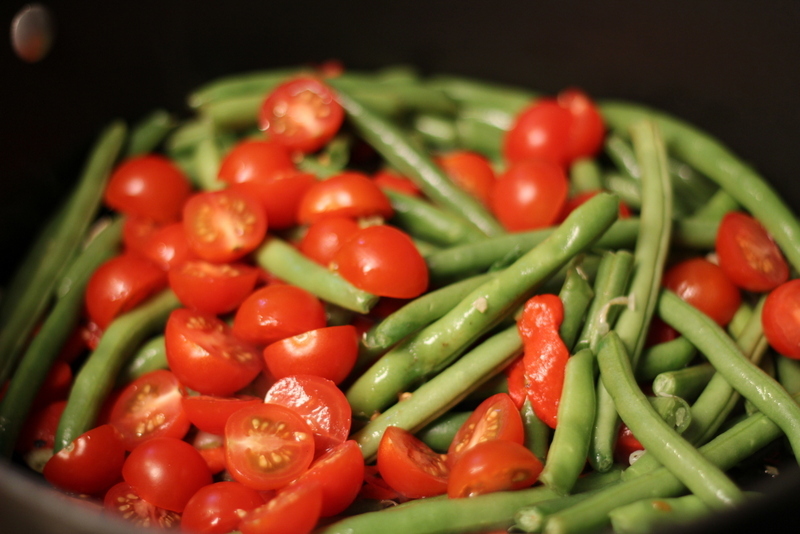 Let the vegetables cool for a few minutes. Heat another skillet over high heat. 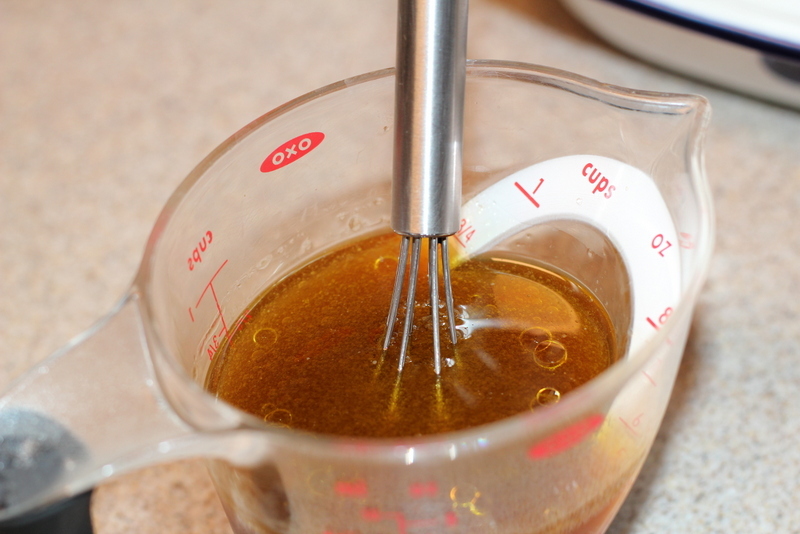 Add the remaining tablespoon of olive oil. 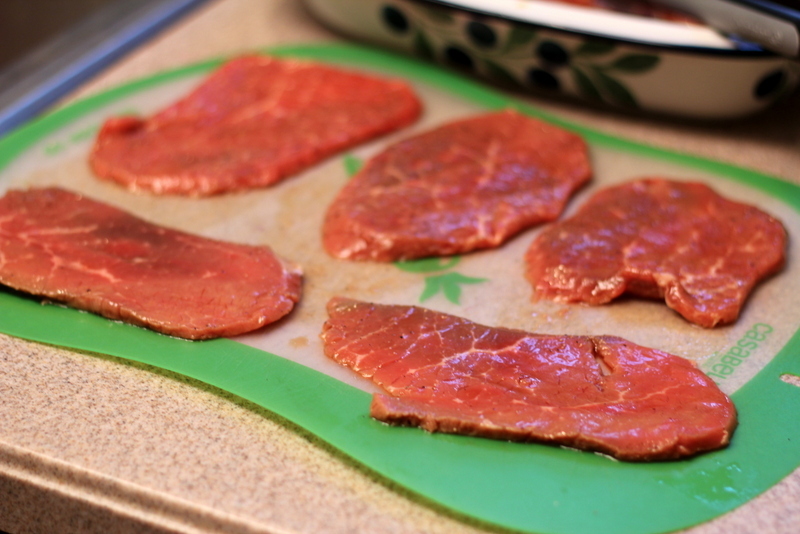 Lay the pieces of steak flat on a cutting board. 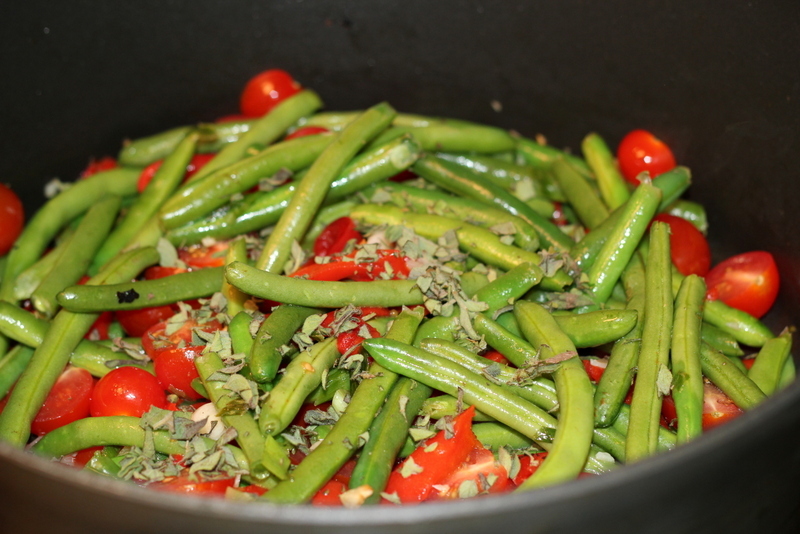 Place some of the green bean mixture in the center of each piece. 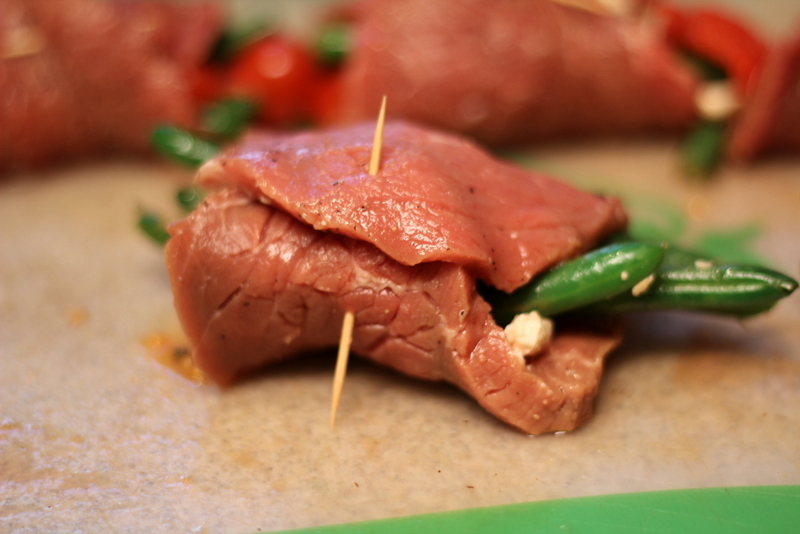 Roll up each piece of steak. 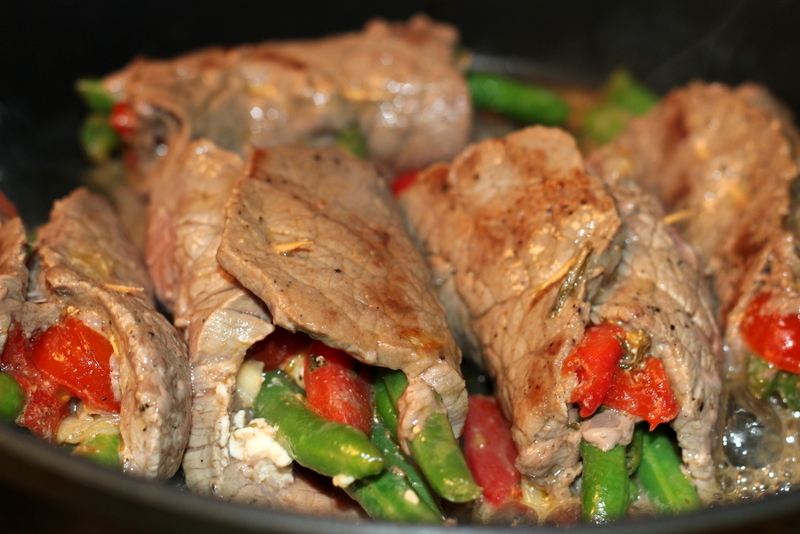 Place the steak rolls, seam-side down, in the skillet. Let cook for about 3 minutes, then flip. 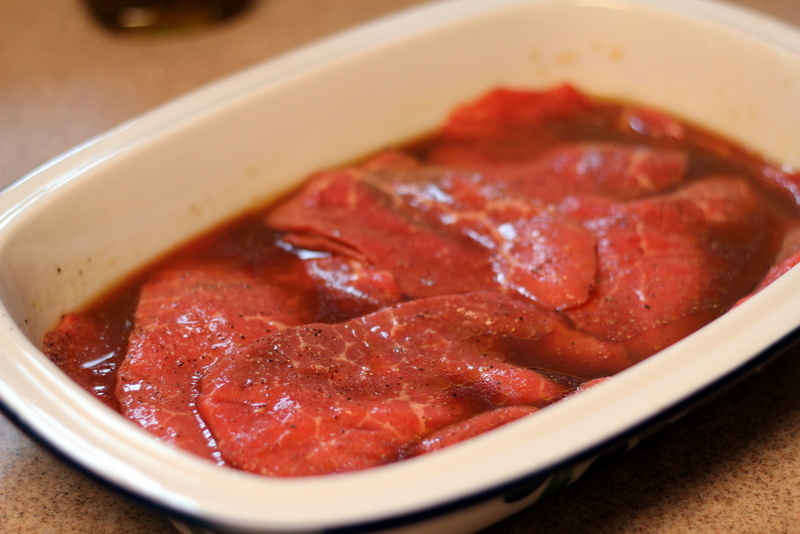 Continue cooking until the beef is cooked through, about 3 more minutes. Remember to remove the toothpicks before serving. wow i haven’t try this recipe at home but this looks fantastic. What a perfect presentation!